The Oxford English Dictionary has added a new word to its extensive list: trapo. “In Philippine English, a trapo is ‘a politician perceived as belonging to a conventional and corrupt ruling class’,” Oxford said in a statement. It cited the word as an example of the multilingualism of the Philippines, because not only is it an abbreviation of “traditional politician” but is also an allusion to the Tagalog word that means rag, which in turn was borrowed from Spain. And isn’t that just bongga? “Another new item from Philippine English is the adjective bongga, borrowed from Tagalog, which means extravagant, flamboyant, impressive, stylish, or [more generally] excellent,” Oxford added. Aside from that, at least nine new Filipino words have been added to the dictionary as of October this year. And not surprising to Filipinos, they’re all related to food. These words are bagoong, bihon, calamansi, carinderia, ensaimada, palay, panciteria, sorbetes and turon. 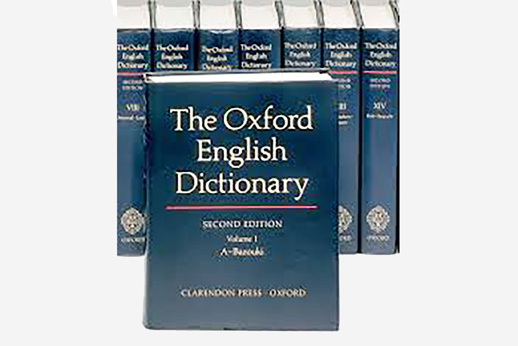 The Oxford English Dictionary is one of the oldest repository of English words in the world and is celebrating the 90th anniversary of its first edition this year. It currently has more than 600,000 words and is constantly being updated.